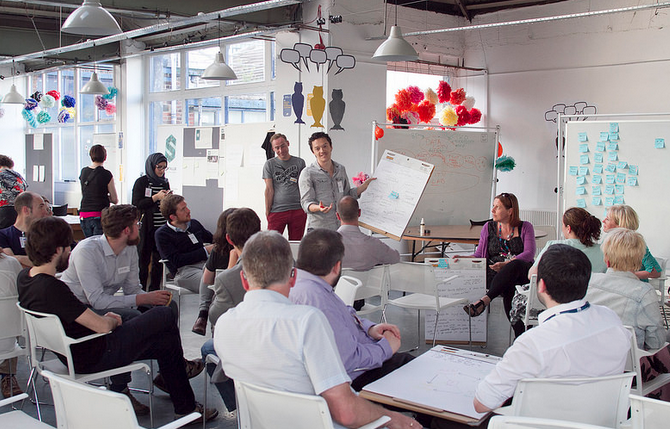 This week we hosted the brilliant Leeds GovJam, a global event that applies innovation in service design to the government and public sector. Taking place over 48 hours, the GovJam was hosted in over 30 cities from the HQ in Ljubljana to Sau Paulo and Leeds' twin event in Athens. Photos of the GovJam can be found here. At the beginning of the event a secret theme was revealed — a picture of a keyhole — that was consistent across Jams worldwide. From this a number of teams formed based on their interpretation of the theme, which was an interesting challenge given its ambiguity. One team focused on transparency while others on community recycling, a shared skills economy, accessing government services, unlocking the cycle of poverty and empowering local communities with information. 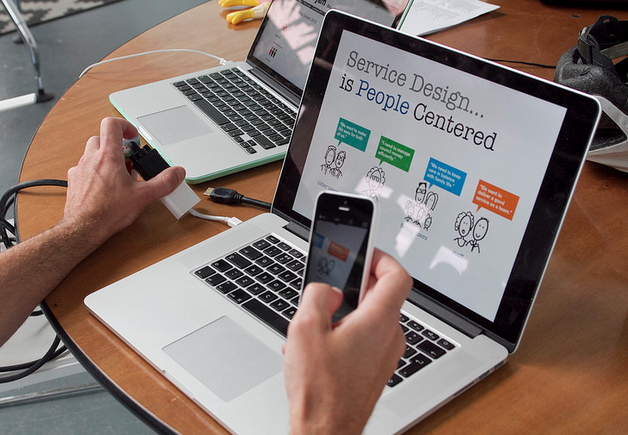 The ultimate aim of the GovJam was to to co-create an innovative prototype that improves on public services. The second day of the Leeds GovJam saw teams researching, testing, mapping and prototyping their projects ready for a fun presentation in the afternoon. 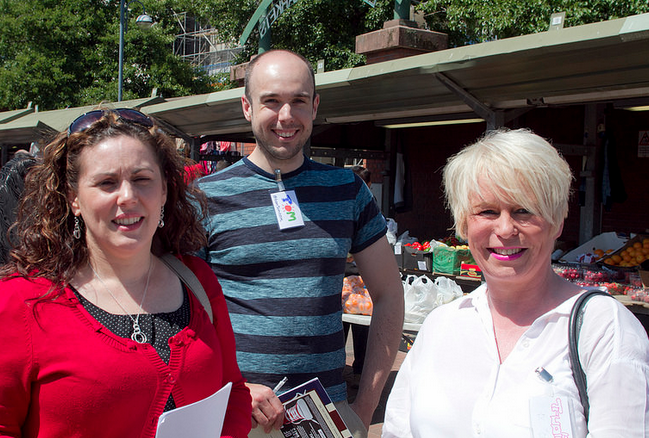 Many teams went out to Leeds city centre to conduct user research. To gauge the potential for my team's project — MRKT — we went out to Kirkgate Market to discuss with retailers whether they would be willing to pass on recycled food for a good cause. The response was really positive and we were able to construct a number of personas and storyboards to explore the idea further. A short presentation towards the end of the day allowed Jammers to present their projects in an engaging, creative way. By the third day teams were in the final stages of prototyping, readying themselves for the final show and tell. Watching the teams present their projects demonstrated what could be achieved in a very short space of time if motivated people collaborate together. One project — Cook Truck — even managed to secure outside support that would enable them to make the project a reality. 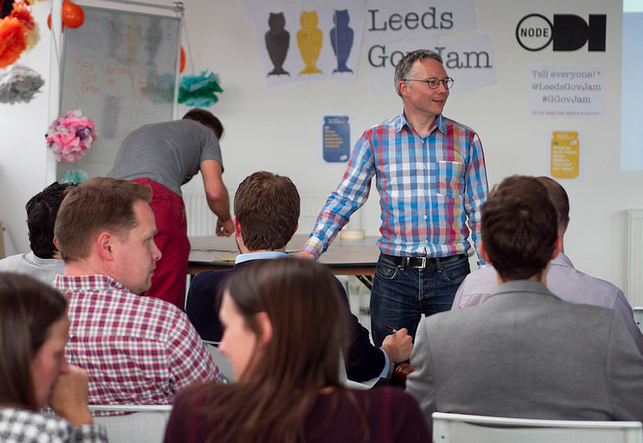 ODI Leeds would like to thank the organisers of the event — Leeds GovJam — and the sponsors that made it happen such as DWP Digital. Finally, thanks to everyone who took part in what was a truly inspiring and memorable few days!